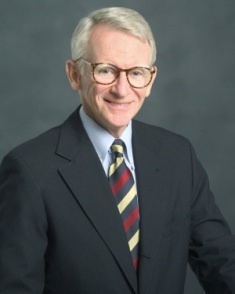 Mayor Joe Riley comes to Daniel Island on Wednesday! Mark the date of Wednesday Feb. 4th at 7 pm on your calendar and come out to the Daniel Island Club to hear Mayor Joe Riley speak at the DI Community Speakers’ Series. This quarterly event features notable and interesting local speakers and this one on Wednesday will be especially worthwhile. After ten terms as Charleston’s mayor, Joe Riley is stepping aside and I’m sure he will be discussing his legacy as well as the future of the area. Other topics will be covered and the opportunity to ask him a question is possible at the Q & A following his talk. The Daniel Island Community Speakers’ Series is a collaboration of the efforts of four local groups, the DI Business Association, the DI Community Fund, the DI Club, and the DI Rotary Club. This cocktail friendly series is a great way to meet new neighbors while listening to such locals as Mike Veeck of the Riverdogs, Jack Jones from Boeing, and Frank Abagnale of “Catch Me If You Can” fame talk about their experiences. Joe Riley adds to this list and rumor has it that former NFL football player and actor Ed Marinaro will be featured in April. Events like these make living on Daniel Island unique and if you’re looking for something else to do on Wednesday, the DI Library is hosting a series on the study of philosophy. These classes begin Wednesday at 10:30 and for more information, call 843-471-2952. Joe Riley’s career as mayor of Charleston began in 1975 and the renaissance that the area has experienced under his guidance is quite remarkable. After 40 years, he has decided to step away from the office and who will replace him will definitely be one of the questions on people’s minds on Wednesday night. So come on out on Wednesday and advance registration is required at dispeakersseries@hotmail.com. Dress is business casual, doors open at 6:30, program starts at 7:00 and usually concludes around 8:00 to 8:30. Hope to see you there!